When single-use technology first arrived on the scene in the late nineties, the processes that it was applied to were relatively simple and low risk. These included simple filtration and storage applications of buffers and cleaning solutions. With these filtration steps typically involving lower value, non-blocking solutions of easy to dissolve salts, automation would have been seen as an unnecessary over- complication. It was thought sufficient to have an operator watch the process to make sure nothing became disconnected, a bag did not overfill or a tubing set burst as a result of a blocked filter. The first hint of what was possible came with the integration of pressure sensors into single-use assemblies to monitor the pressure across the filter membrane (dP). As the benefits of single-use became clear and the technology became established, there was a drive to utilize it in more process steps. Single-use was no longer being applied to simple buffer preparation but to process steps where the output would form part of the batch record and the value of the product passing through the assemblies increased dramatically. These process steps included, for example, clarification, tangential flow filtration (TFF) and virus filtration. These unit operations required relatively complex monitoring and control as well as data acquisition. Only by automating the equipment could these systems operate, protect the process and collect and store the data in a way that was compliant to cGMP. So, if automation of single-use steps is key, what is stopping its implementation? This white paper examines some of the reasons why single-use automation has not been more widely adopted in bioprocessing and explores the benefits it can bring in relation to the key market drivers such as speed to market, investment decisions, multi-product facilities, regulatory factors, economic factors and continuous processing. 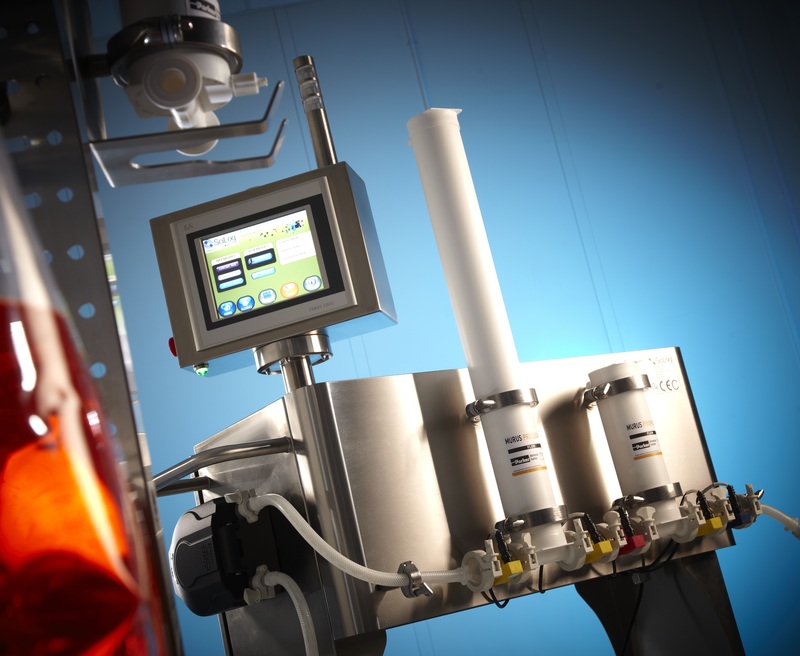 The role of automation in both normal flow filtration and tangential flow filtration operations is then considered in depth along with its implications in data acquisition.